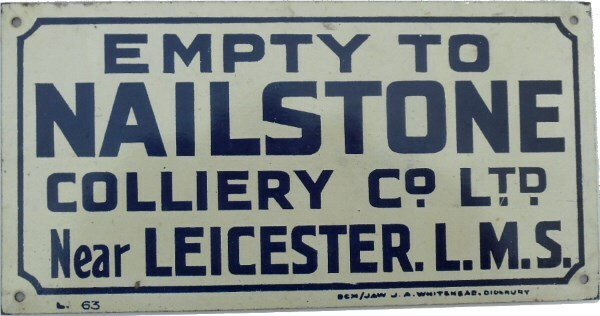 Lot 173 L.M.STin Sign - Screen printed "EMPTY TO NAILSTONE COLLIERY CO LTDnear LEICESTER L.M.S". 6 1/2" x 3 1/2 ". Excellent condition.